First up to test this plate is a CA18 filled 50% with concrete, RB26 head bolts and getting bored to 83,5mm. How are yours coming along Float? LOL, waiting on a head plate to be built, LOL!!! I wish I would have known you were making one. I would have waited until yours was done and rented it from you. Oh well, shipping probably would have killed me anyway. I don't know where that measurement came from but I will have to correct it. IIRC, it's about 3.5". I bought a 2" thick piece of 6061 and a couple of feet of 6061 round bar. 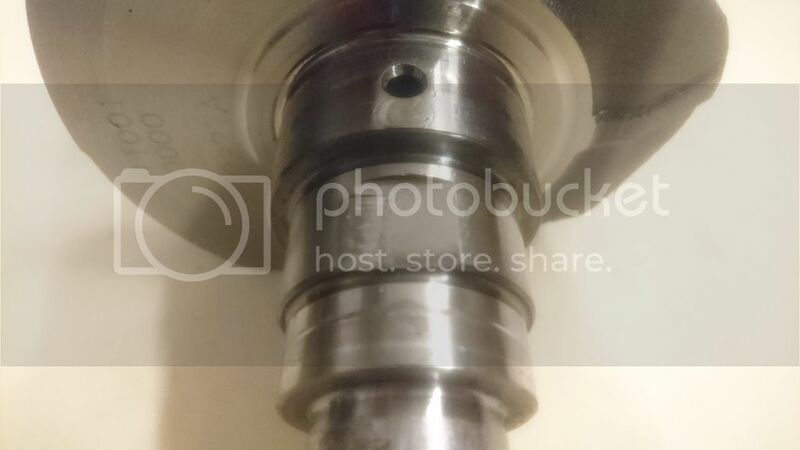 I had the round bar cut and drilled to make spacers to compensate for the extra height. 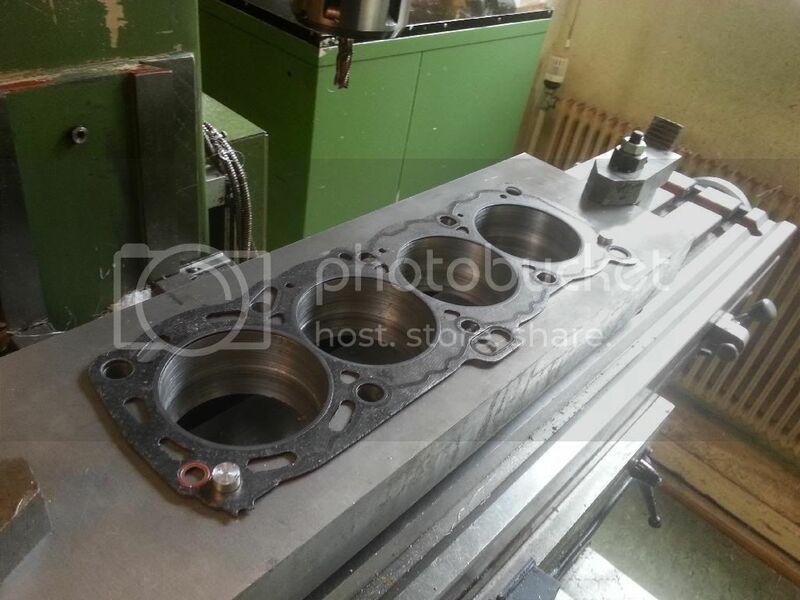 The 2" thick piece of 6061 bar is at the CNC machine shop now waiting to have the holes drilled. It's been there a week, so I'm hoping they will start on it soon. Yea, that's what I had made. Yours look like they're press-fit into the plate. Mine just rest on top. Yes, that way I won't loose them! awesome! what bore Mr T? Oh as for a retro rocker plug cover? In the meantime, have you tried to fit the engine with the CA mounts onto the S13 crossmember? Yes, but not with the CD oilpan. Any updates? I dropped my block, HG, and torque plate off at the machine shop yesterday. I also picked up my graded Nissan bearings. They screwed up my rod bearings though. I got 4 bearing halves instead of 4 complete bearings, so I had to order more. Or, you could send your block here and let me bore/hone it. Shipping would probably kill it. float_6969 wrote: Any updates? I dropped my block, HG, and torque plate off at the machine shop yesterday. I also picked up my graded Nissan bearings. They screwed up my rod bearings though. I got 4 bearing halves instead of 4 complete bearings, so I had to order more. Glad to hear you are not using ACL, its worth the wait to get OEM bearings. I like to use NPR, they are made in japan and i think clevite gets their CA bearings from there also. What did the Nissan bearings cost you? Not much going on with the CD engines (yes i have four) yet, i had some setbacks and amongst other things i managed to drop my gearbox and a piece of the welded on flange broke off. Might be getting the gearbox ready this weekend, i did it a little differently this time and i will make a thread on the two methods. I've never run ACL. It's been Clevite's until this build. I didn't have to wait that long for the OEM bearings, maybe a week at most... Well not counting the second order... and on Monday a third order, blech. I'm going to have to take the 4 rod bearing halves back and see if they'll return them. They weren't in boxes and shrink wrapped like the main bearings. They were just in a bag. After I opened the bag (the bag was opaque, so I couldn't see this before) They had been rattling around in that bag for a while and the bearings are ruined. Badly scratched and dented. No bueno. Right now, I'm about $120 into the bearings. I have a feeling they're not going to return these rod bearings and I'll have to order more-more rod bearings. I also discovered something interesting about my motor. If I move the rods over one spot (4 to 3, 3 to 2, 2 to 1, 1 to 4) The clearances (without bearings) are all within a half a ten-thousandth of each other. I could leave the rods alone and get different grade bearings, or move them and get one grade, so that's what I'm doing. Oddly enough, the #3 rod was the one with the largest bore in the rod and the smallest journal diameter, combining to give the largest clearance. This is also the rod that has had the most bearing damage every time I've taken the motor apart. That's a nice jig for the transmission adapter! I can't wait to see the two methods. float_6969 wrote: I also discovered something interesting about my motor. If I move the rods over one spot (4 to 3, 3 to 2, 2 to 1, 1 to 4) The clearances (without bearings) are all within a half a ten-thousandth of each other. I could leave the rods alone and get different grade bearings, or move them and get one grade, so that's what I'm doing. Oddly enough, the #3 rod was the one with the largest bore in the rod and the smallest journal diameter, combining to give the largest clearance. This is also the rod that has had the most bearing damage every time I've taken the motor apart. the cd20 FCW crank should be a different story to the NFCW ca18de crank. Even other non FCW cranks suffer on the 3rd bearing areas due to balance issues. is what keeps many ca18det very reliable in extreme use. 86mm honda pistons and cd20 crank when I can get my hands on one. Hi guys just stumbled upon this thread and was wondering if it ever got finished. .im in the planning stages of building a stroker with alloy rods big boost drag engine . This could also be of interest if its actually worked . Any in put would be great. This project has been on hold for a while but have recently been put back on my agenda. Boring and honing of the block is right around the corner and the bottom end will be put togehter so i can finally figure out what to do with the timing belt. I guess it will be custom since that seems to be the easiest way out. I also have plans on adapting VCT to this engine wich i have been thinking about for years. What remains to "figure out" is only the timing setup, everything else is already figured out. 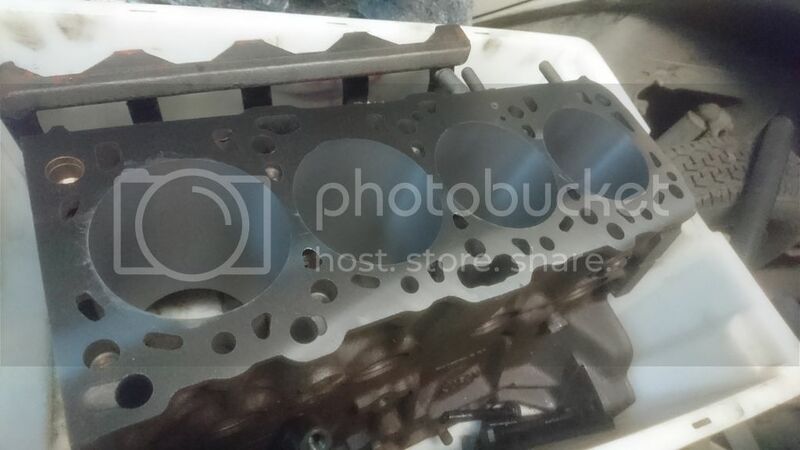 Ha thats good to hear it would be an interesting to see it up and running im interested to see how much the block would handle and the the way it makes power and toqure compared to a spool style stroker . When measured at the waterpump hole the wall thickness is about the same as a ca18 but with 2mm bigger bore. Yes you can run the same gears but with a longer belt. 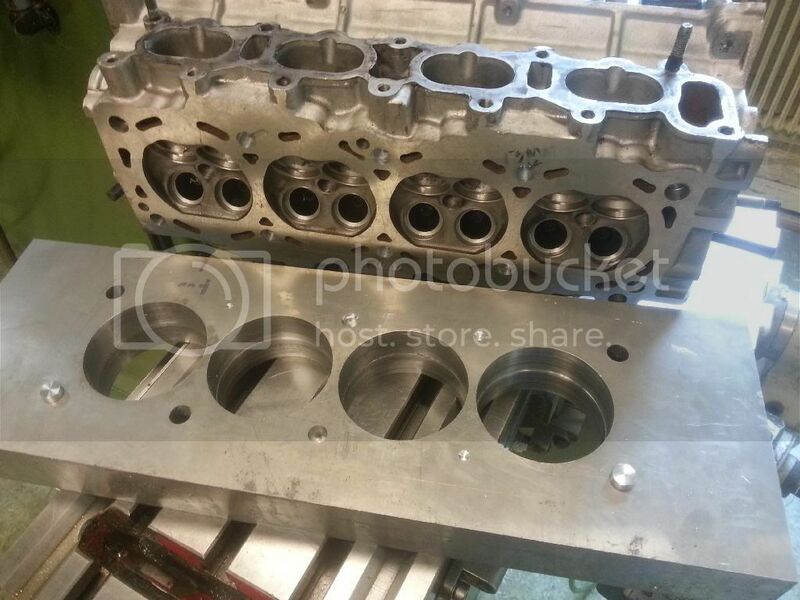 I have started a CA20 building with CD20 block and crankshaft. I have to solve the cylinder head gasket problem now. I'll send you an email but i have written about it in the first post of this thread also. I have resurfaced and bored the block. Will hone it with torque plate installed. I need to figure out what to do with the oil pump drive. I will look into if the RB collar can be used, if not I might make one or find some other way. Welding it up and having it re-ground is always an option as well. 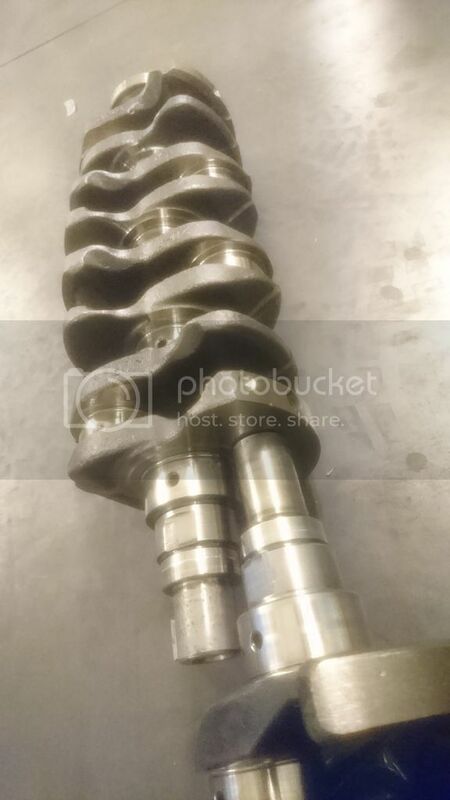 Measured and compared the CD to a RB26 crankshaft. RB26 crank collar can be used but I will not use one. I will machine it down, fit a new hardened ring and then machine it. At least you did it for science! In case someone else is in the same situation, now they know.